A fine pair of modern bedside drawers. Very practical and quite compact. 60 cm wide x 40 cm deep x 40 cm high. 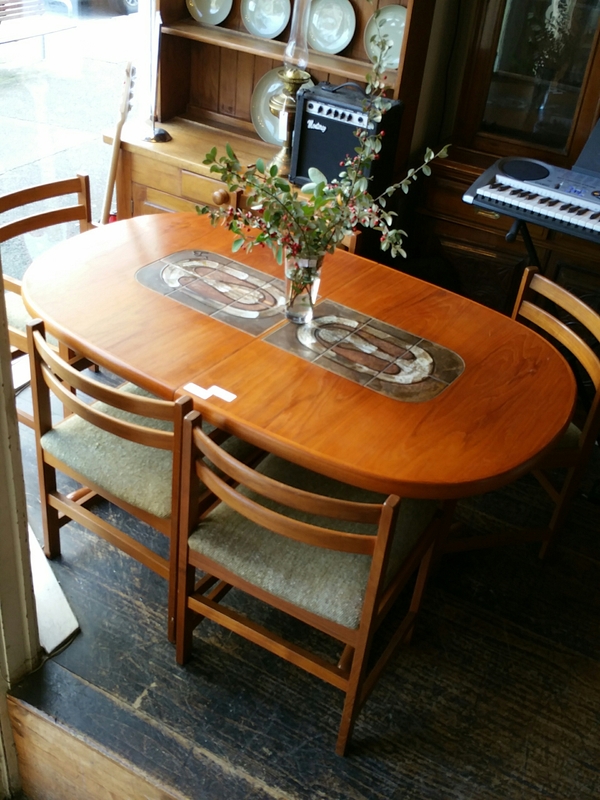 Danish extension table and 6 matching teak chairs. The table incorporates an extremely rare ceramic plaque in the centre. Why not, every so often one needs to imagine that they are at the helm of the Starship Enterprise. Even if realitity is slightly more humdrum. 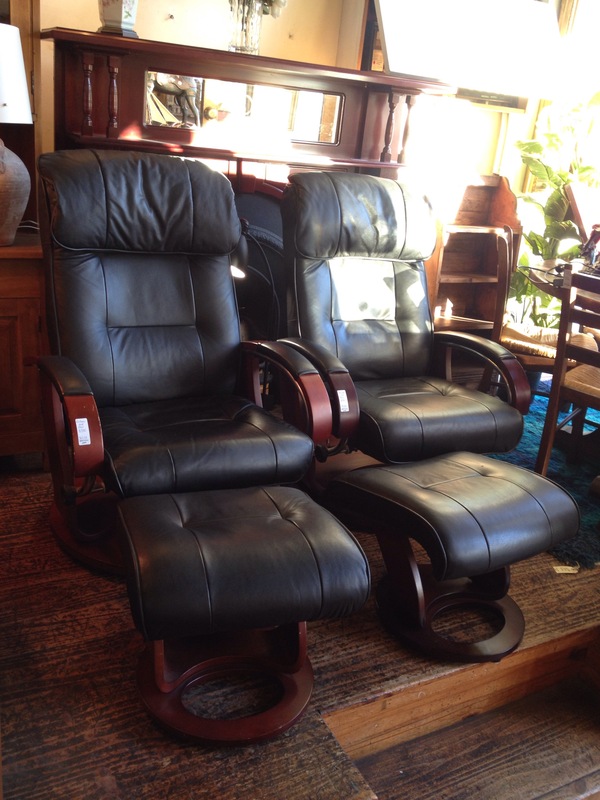 Two American recliners with footstools from the 1980’s. Could be used in front of a record player without detriment to chair or occupant. 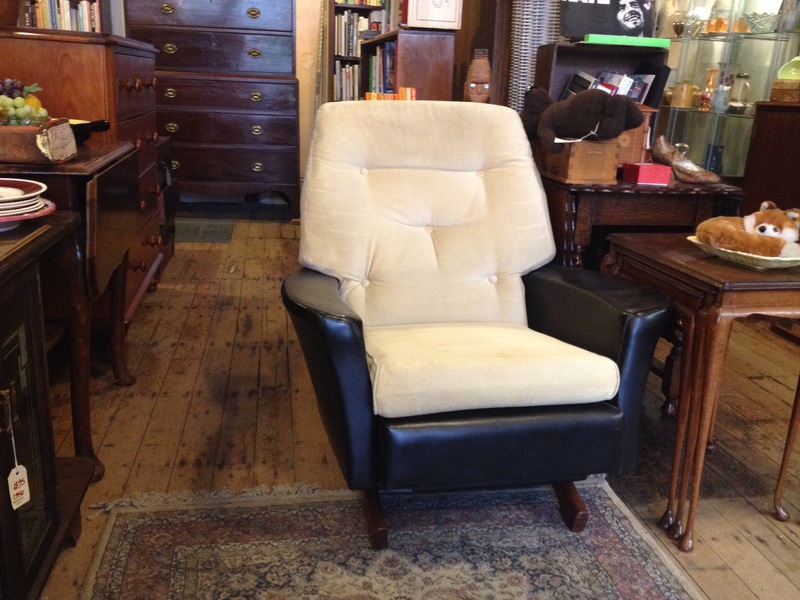 Vinyl and fabric reclining chair. 1970. $165. Why not decline into this comfy item after a busy day at the factory. Antique tilt top table from the late 1800’s. $399. Four Italian rush seated chairs from the 1970;s, $195 for the set. To the left a large unframed canvas by Gemma Paley. $55. 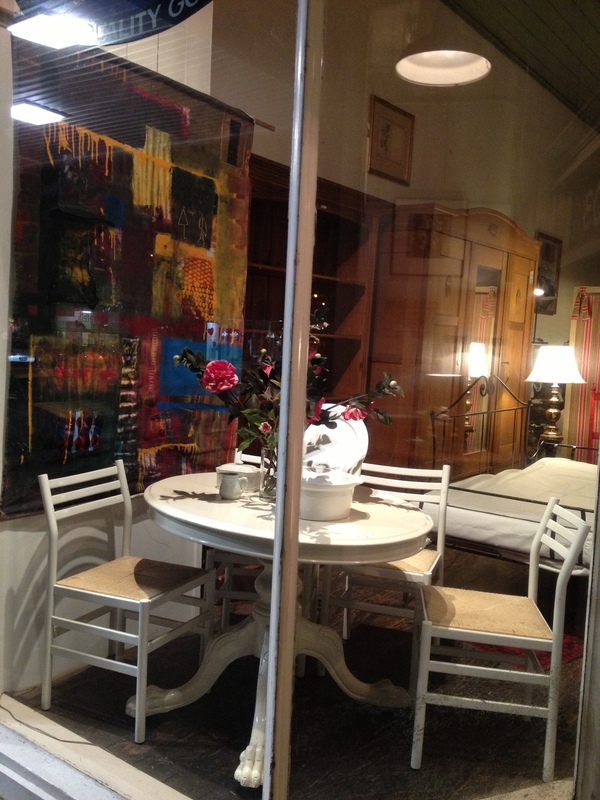 Two of over 20 large items of furniture received this weekend.